Speech, communication, typography and storytelling are all merging together for three Louisiana Tech professors’ interdisciplinary research focusing on fostering children’s development. 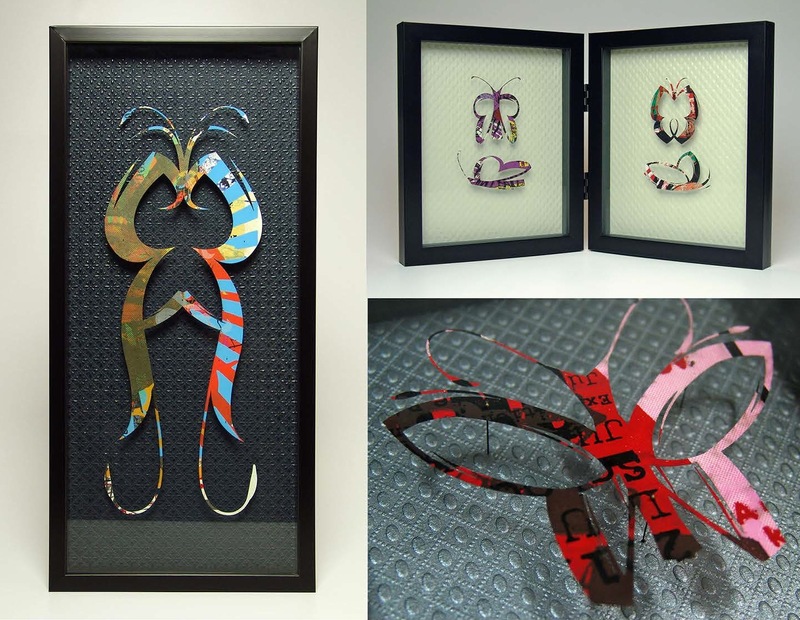 These “letterflies” are laser cut from serigraph test prints and mounted as specimens. Like 3D printing, laser cutting technology will become more common in schools, and LMNOBeasts will be leading that charge as well. Phillips and Madix are developing the lessons and activities for the workbook, Maggio said. They are also setting up tests to evaluate therapeutic aspects and other typography-related communication issues. “The deeper we delve into our initial investigations the more opportunities we find for research,” Maggio said. This research is receiving state and even worldwide attention. Maggio will present research regarding LMNOBeasts at the International Toy Research Association’s World Congress in Portugal at the end of July. LMNOBeasts products will be featured at the grand opening of The Agora Borealis, a new artists’ market in downtown Shreveport, starting July 17. Also, the products are competing in the Louisiana Startup Prize competition.